While mortgage debt accounts for nearly two-thirds of household debt, the other third is consumer debt (for example, credit card debt and auto loans). And the household savings rate is a paltry 4.3%. Going out for lunch or dinner can save some preparation time and you don’t need to do any dishes afterwards. But eating out can add up. Take the case of a Toronto couple that earns more than $200,000 annually. Every month, they spend more on eating at restaurants ($1,200) than they do on mortgage payments ($1,129). If they keep spending that much money monthly, that’s $14,400 a year on eating out—nearly 7% of their combined gross family income. (In 2015, the average Canadian household spent $2,502 on food purchased from restaurants.) What’s interesting is one of them is a financial planner/analyst. Go figure. Credit can be either a positive or a negative. If you buy things you need with credit and pay your bills on time, it can be a good way to earn rewards points or cash back. But if you buy things you want with credit—a $1,000 jacket or an expensive car—and can’t afford to pay your bills, you have a problem. There are differences between wants and needs. Food, water, clothing, and shelter are all needs. But dining out, going to a bar, designer clothes, and a large home are all wants. The basic necessities are all you really need. A budget is one of the most important financial tools you can have because it keeps track of all of your income and expenses. Putting one together doesn’t take a lot of time and it’s very simple to do. Once you’re able to see where you’re spending money, you can determine if any spending cuts need to be made. 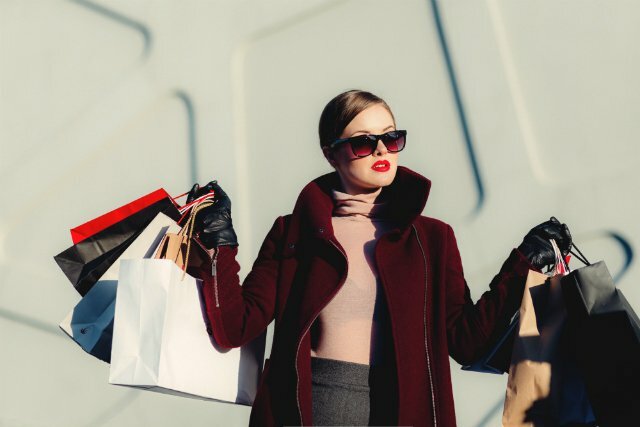 If you want to buy something expensive, you’re going to need to save. You should determine what your short-, medium-, and long-term goals are first. Some common goals include buying a car or a home, saving for retirement, or paying off credit card debt. Once you establish your goals, you’ll have to decide how much money to allocate to each one. It’s fairly common for people to save whatever they have left over at the end of the month. Unfortunately, this strategy won’t work if you buy everything you want or spend more than you have. The best way to save for each of your goals is to deduct a certain amount once a month and treat saving as a fixed expense in your budget. And make sure your savings goals are realistic. For example, trying to save 30% of your gross salary might not be realistic whereas 10% is much easier to achieve. Also, if your savings fall short of your goals, take a look at your budget and make some necessary cuts. Your future self will thank you.